Legal service provider Legadex is celebrating its ten-year anniversary this year. That makes it a young company compared with the multinationals and law firms it serves, but in the world of alternative legal service providers it's a veteran and pioneer. 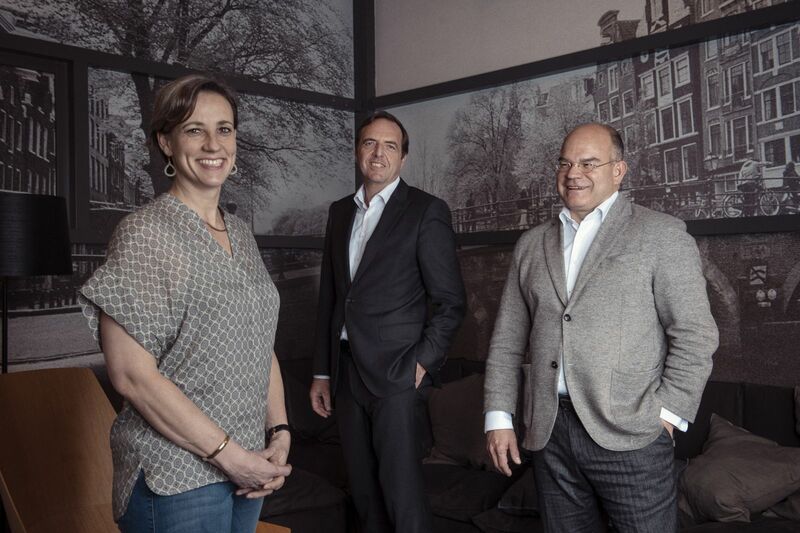 When Legadex was established, the economic climate wasn't particularly favourable; Roos and Van Daele launched their smarter working method in 2008, shortly after the collapse of Lehman Brothers and the outbreak of the financial crisis, in a market that was chiefly concerned with its own survival and in many respects wasn't ready for innovation. Roos had been working as a headhunter and Van Daele was previously Head of Legal at Endemol. Roos: “I'd built up considerable experience in spotting legal talent and Luc was good at simplifying legal processes. This was soon followed by requests to provide support for M&A transactions: virtual datarooms involving the use of data analysis and artificial intelligence made the lives of newly qualified lawyers much easier since they no longer had to spend weeks 'camping out' in a dataroom. Legadex's growth proved the precursor to a wider prevalence in the English-speaking world of alternative legal service providers: disruptive organisations that have now become established players in the legal landscape. A recent study by Thomson Reuters Legal Executive Institute/Georgetown Law Center for the Study of the Legal Profession and Oxford University analysed for the first time how these service providers have changed the face of the Anglo-Saxon legal market. The study, entitled 'Alternative Legal Service Providers’, describes the trend as a seismic shift. 51% of the 554 law firms and 60% of the 271 corporate legal departments that were canvassed in the United Kingdom, United States, Canada and Australia said they now used alternative legal service providers. Law firms use them for tasks such as e-discovery and litigation support, while corporates usually want help with implementing legislation and regulations and with specialist legal work. The use of alternative legal service providers is growing, but still shows signs of a market in its infancy with, consequently, an enormous growth potential. And there are many more innovations in the offing. Automatic drafting of contracts, for example, which isn't yet widespread in the Netherlands, chiefly due to the small scale of many companies and the limited availability of applications in Dutch. Nevertheless, developments in this area are progressing rapidly and it is quite possible that in ten years' time the vast majority of legal contracts will be drafted automatically. Another unstoppable trend is blockchain technology. The current method of storing contracts and having them checked by national and international institutions would benefit enormously from a different approach to international agreements based on blockchain technology. Many companies and offices still store their contracts on paper in filing cabinets, but once a blockchain method has been widely adopted, this form of storage will almost certainly become a thing of the past.